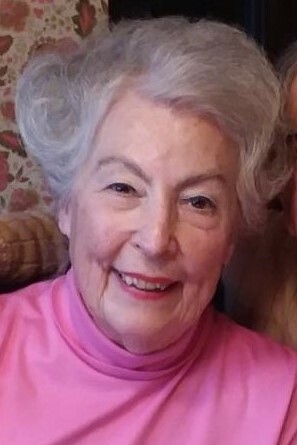 R. Paula Wesner, 86, of Greensburg, passed away, Friday, March 29, 2019. She was born April 15, 1932, in Wilkinsburg, the daughter of the late Louis and Paula (Altmann) Kloep. Paula was an active member of Blessed Sacrament Cathedral. She was a former member of the Greensburg College Club. She was married in Bury St. Edmunds in England. Paula's warm and engaging personality endeared her to a host of friends. She enjoyed spending her time playing bridge, traveling, and ballroom and square dancing. Paula was an avid reader, but most of all, she enjoyed spending time with her family and her beloved grandchildren. In addition to her parents, she was preceded in death by her son, Jack Wesner; and brother, Dr. Peter Kloep. Surviving are her husband of 63 years, Dr. John C. Wesner; her daughter, Molly Wesner Campi (the late Enrico Campi), of Greensburg; her son, Michael Louis Wesner (Kelly), of Medina, Ohio; her grandchildren, Cassandra Campi, Jack, Joe and Jim Wesner; and numerous nieces, nephews and extended family members. Family and friends will be received from 4 to 8 p.m. Monday at the KEPPLE-GRAFT FUNERAL HOME, 524 N. Main St., Greensburg. Paula's funeral Mass will be celebrated at 9:30 a.m. Tuesday in Blessed Sacrament Cathedral, 300 N. Main St., Greensburg. Everyone is asked to go directly to the church. Interment will follow in St. Clair Cemetery. In lieu of flowers, memorial contributions may be made to the Greensburg Hempfield Area Library, 237 S. Pennsylvania Ave., Greensburg, PA 15601. For online condolences, please visit www.kepplegraft.com.